August 24, 2016 - "Press Releases"
Tanis Incorporated announced JSC Connections, LLC as its newest independent manufacturer’s representative, supporting Tanis in extending its reach internationally. JSC Connections will represent Tanis’ industrial brushes in South America, Central America and the Caribbean. 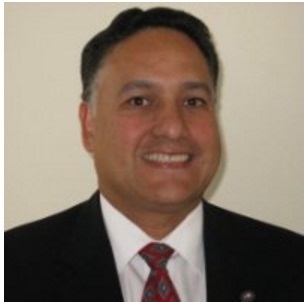 The company’s president, Jorge Campozano, has nearly 20 years of experience building sales growth in Latin America and has developed relationships with industrial distributors serving aerospace, automotive and many other industries. Tanis Inc. is known for its vast selection of stock and standard brush products, excellence as a custom brush manufacturer and exceptional customer service. Since 1987, its team of dedicated employees has remained committed to total customer satisfaction and fostering a culture of quality and continuous improvement. We are also known for our CeramiX® Abrasive Nylon Brushes made with an advanced technology abrasive grain. Tanis’ global customer base includes a wide range of OEMs, manufacturing operations, production processes and maintenance operations within a vast array of industries such as agriculture, printing, food processing, food service, automotive, aerospace, metal fabrication, medical, military and more. Contact Tanis for more information on this release at 262-646-9000 or visit www.tanisbrush.com.